Volga River Delta and Caspian Sea, Kazakhstan and Russia, May 1991. The broad, fan-shaped delta of the Volga River and the largest inland body of water in the world, the Caspian Sea, are the centerpieces of this high-oblique, south-looking photograph. The Volga River Delta, an important wetland region, is over 124 miles wide and enters the Caspian Sea below sea level. The city of Astrakhan is visible as a grayish-blue smudge west of the river near the apex of the delta. Though located in an arid area, the delta supports more than 250 species of birds, 60 species of mammals, and 80 species of plants. A rich fish fauna exists, which includes 25% of the world's sturgeon species-a great source of the world's supply of caviar. The Caspian Sea, 92 feet below sea level, is approximately 745 miles long and 270 miles wide. The Volga supplies approximately 75% of the water inflow to the sea, which has no outflow. Caspian Sea water levels have been dropping since the early 1960s due mostly to the construction of large dams and reservoirs on the Volga River. Most of the patterned areas in the southern Ryn Desert north of the Caspian Sea are wells of some type. 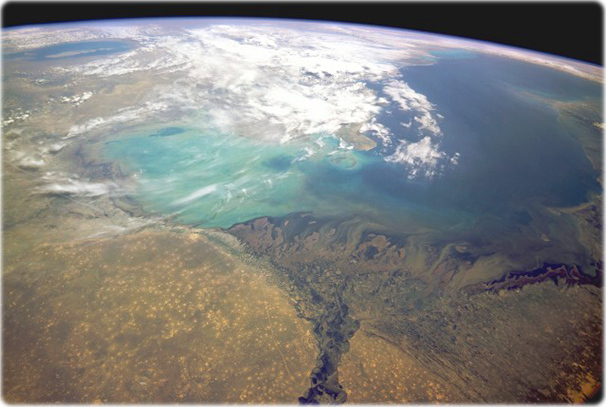 The Aral Sea is visible near the horizon east of the Caspian Sea (NASA). 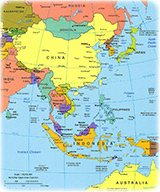 Copyright © Geographic Guide - Asia Maps of Countries, Landakort, Cairt, Lonkoyoon, Ramani, Harta, Harita. 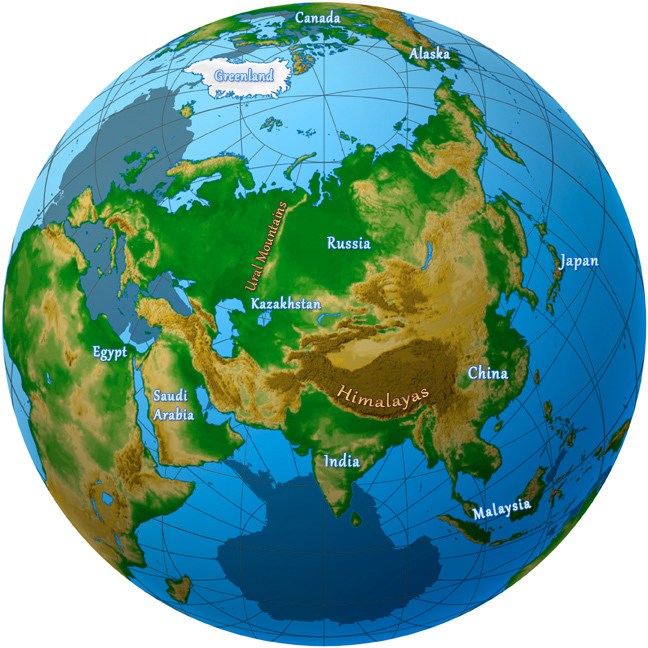 Ural mountains, Himalayas and Kazakhstan.